AUSTRALIAN experts are divided on the most effective first-aid management for box jellyfish (Chironex fleckeri) stings, after a randomised controlled trial found that hot water immersion was no more effective than ice in relieving acute pain in non-life-threatening stings. The trial, published in the MJA, found that in patients who presented to the Royal Darwin Hospital emergency department within 4 hours of a suspected box jellyfish sting, hot water immersion was no more effective than icepacks for pain relief, but increased hospital length of stay by about 30 minutes. The authors said that their findings supported existing protocols recommending icepacks for reducing the pain of box jellyfish stings. 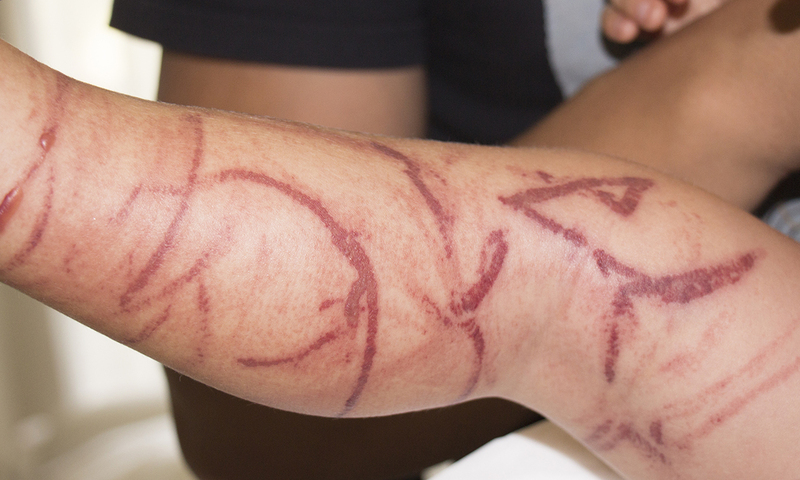 For the trial, 42 patients with suspected box jellyfish stings were randomised to receive pain relief with an icepack (25 patients) or immersion in water heated to 45°C (17 patients). The researchers reported that 65% (11 patients) treated with hot water and 56% of patients treated with icepacks had clinically improved pain scores, assessed with a visual analogue scale (absolute difference, 9%; 95% confidence interval, -22% to 39%; P = 0.75). The median emergency department stay was 1.6 hours for icepack patients, and 2.1 hours for patients treated with heat immersion. Patients with severe envenoming or with baseline hypotension (blood pressure below 90 mmHg) were excluded from the trial. The MJA authors concluded that icepacks were “simpler, more practical and potentially safer than hot water immersion for the emergency department treatment of box jellyfish stings in tropical Australia”. They wrote that the findings were “unexpected” in light of the beneficial effect of hot water immersion for blue bottle stings. The authors said that a potential explanation may be the differing sensitivities of jellyfish venoms to heat. Also, they noted, the treatment delay may have allowed more time for the venom to be absorbed. “The effect of heat was therefore more likely to have been symptomatic, rather than providing definitive treatment by inactivating venom,” they wrote. Lead author Professor Geoff Isbister, professor at the University of Newcastle’s School of Medicine and Public Health, and clinical toxicologist at the Calvary Mater Newcastle, told MJA InSight that hot water immersion at 45°C was practically difficult to achieve in most emergency departments, let alone on the beach, which is when the treatment might be most effective. “If you could offer it on the beach, I believe it would be worthwhile,” he said. But, he added that the rarity of box jellyfish stings, in comparison to blue bottle stings, made it “essentially impossible” to conduct a randomised controlled trial in this setting. In an accompanying editorial, Associate Professor Jamie Seymour, of James Cook University’s Australian Institute for Tropical Health and Medicine, wrote that the findings were surprising given that jellyfish venoms were heat-labile; but unsurprising given that the treatment was not applied until several hours after the sting. “[It would have been interesting to study] whether or not hot water or ice has an effect when you get stung, because we know that 2 to 3 hours after [a patient has] been stung, the pain disappears anyway,” Professor Seymour told MJA InSight. Professor Seymour agreed that a real world trial would be difficult to achieve, but suggested that a laboratory trial conducted on volunteers could effectively answer the question of the most effective first aid treatment for box jellyfish stings. He also cited the recent publication of two case reports – one in which Professor Seymour was himself stung by a big box jellyfish – that showed the effectiveness of the immediate application of heat. Professor Seymour said that it was important to first understand how particular venoms operated to be able to find the most effective first aid approach. In his editorial, Professor Seymour wrote that non-evidence-based treatments dominated first aid for jellyfish stings. “Once any of these treatments is entrenched, substantially more evidence is needed to abandon it than was required to establish it. For example, urinating on a jellyfish sting has been shown to aggravate jellyfish envenoming, but is still thought by many to be acceptable first aid,” he wrote. Professor Isbister agreed that evidence was lacking in many treatments. He said that it was very difficult to evaluate medical treatments once they had become accepted as standard practice because ethics committees often blocked such research, and the widespread belief among clinicians that a treatment was effective. Professor Seymour said that his view on antivenom had changed over the years, but he considered antivenom to have a place in the management of envenoming. He pointed to yet-to-be published findings that suggested that antivenom may be more effective at 4–6 times the current strengths in use.